Martha Cooper is an American photojournalist born in the 1940s in Baltimore, Maryland. 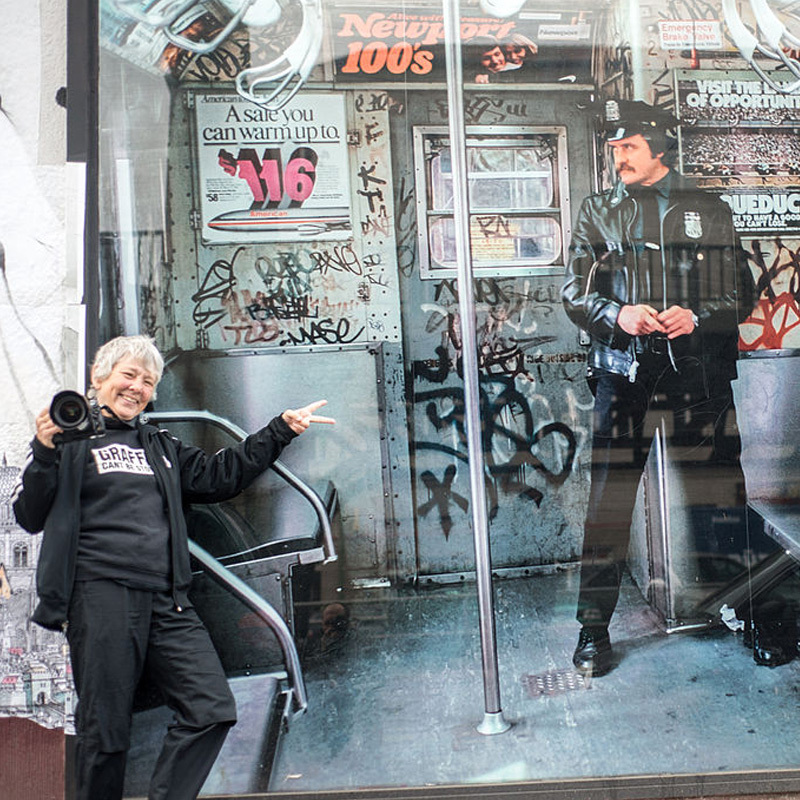 She worked as a staff photographer for the New York Post during the 1970s and is best known for documenting the New York City graffiti scene of the 1970s and ‘80s. Cooper picked up photography at the age of three, graduated from high school at 16, and earned an art degree three years later. She taught English as a Peace Corps volunteer in Thailand, journeyed by motorcycle from Bangkok to London and received an anthropology diploma from Oxford. Her first experience in artistic photography was in Japan, capturing images of elaborate tattoos. She was a photography intern at National Geographic in the 1960s, and worked as a staff photographer at the New York Post in the 1970s. Her photographs have appeared in National Geographic, Smithsonian and Natural History magazines as well as several dozen books and journals. One day, on her return home from work at the New York Post, she began taking photographs of children in her neighbourhood. She met a young kid named Edwin Serrano (He3) who helped expose her to the graffiti scene. Serrano explained to her that Graffiti was an art form and that each artist was actually writing their nickname. 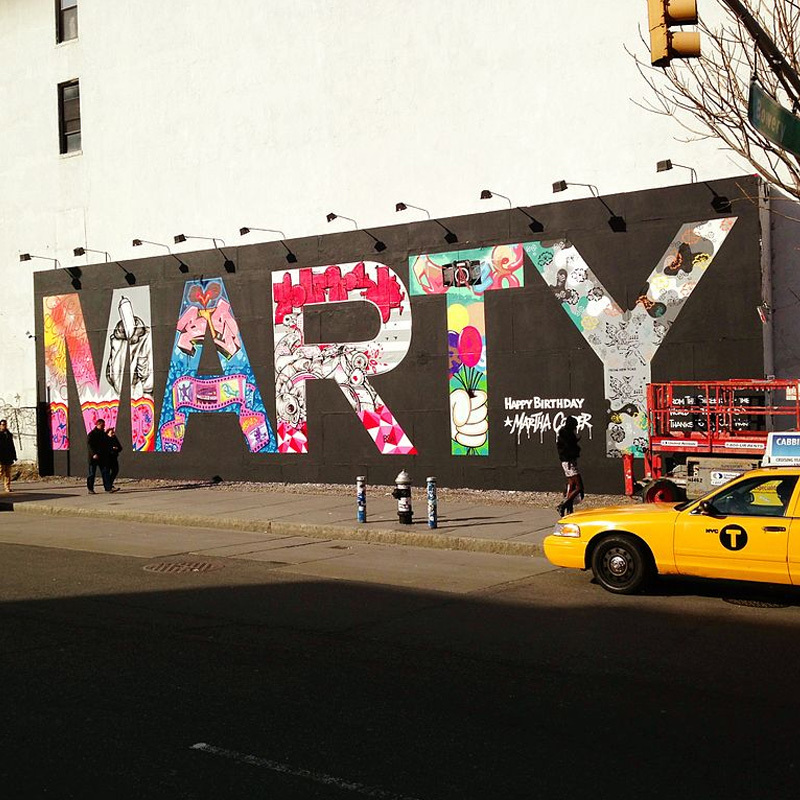 He introduced her to the graffiti “king”, Dondi, and he was the first to allow her to accompany him – while he was tagging she would take photos of his work. Cooper became fascinated with the underground subculture that these graffiti artists had created in New York City and in the 1984 she put together a book of photographs illustrating the graffiti subculture called “Subway Art.” It became known as the Bible of street art and has sold half a million copies. She is currently the Director of Photography at City Lore, the New York Center for Urban Folk Culture.